I'm sold on smartphones, particularly my new Samsung Captivate. Smartphone users obviously benefit from the tremendous capabilities of their new phones (really a handheld computer). 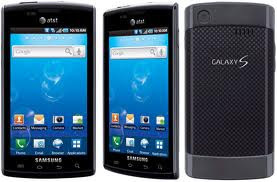 The latest smartphones have powerful Internet access, applications, still and video cameras, etc. But they aren't as capable phones as they used to be. I came across this blog post that got me to thinking. This poster mentioned his three "biggies:"
I hadn't enumerated my "biggies" but my experiences recently inspired me to write this. The battery cable came lose on my car and reset my radio so I had to find and enter the radio's security code. That isn't a phone issue except that it triggered havoc with my Samsung Captivate. I put the security code in and thought I was done. Ok. That's "easy." I set the input to "Aux" to get the signal from my BlackBerry Remote Stereo Gateway. Then I fired up Car Cast to resume listening to my podcast. But wait, that's where I got the Android equivalent of a Blue Screen of Death. It said that the Car Cast app had been Forced Closed. Ok. That's "easy." Just go to the home screen and restart it. But wait, it crashed again. And I noticed an alert in the notifications area. Ok, That's "easy." Just pull it down and it said that the external microSD card was now unmounted. I hadn't done anything with the menus and hadn't dropped or bumped the phone. I opened the back of the phone and removed and reinserted the microSD card. But wait, that got me a message that the "mount point was invalid." I wouldn't call that very user friendly. 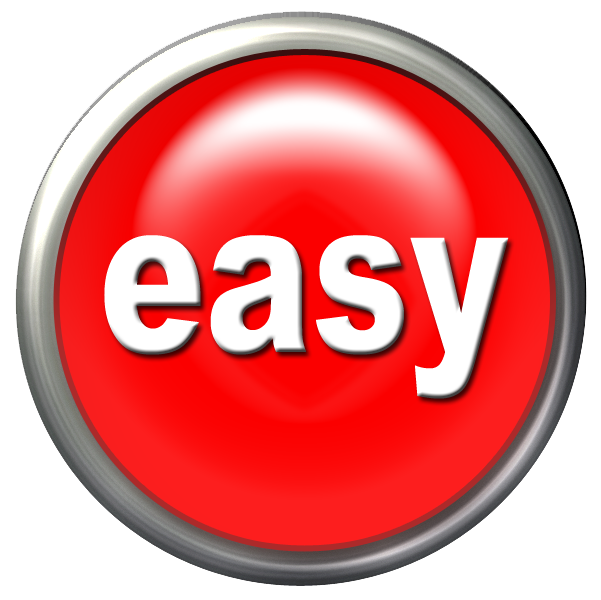 Ok, that's "easy." So I powered the phone down and rebooted it. That got the microSD recognized. And now Car Cast would run. But wait, now the phone wasn't connected to the BlackBerry Remote Stereo Gateway's Bluetooth. Ok. That's "easy." Navigate on the phone to "Setting," "Wireless and network," and "Bluetooth settings." But wait, there were NO Bluetooth devices listed. Ok. That's "easy." Click on "Scan devices." But wait, it didn't see the BlackBerry Remote Stereo Gateway. Ok. That's "easy." Just turn off "Bluetooth" and turn it back on then "Scan devices" again. But wait, the BlackBerry Remote Stereo Gateway shows "Paired but not connected." Ok. That's "easy." Click on the device entry for BlackBerry Remote Stereo Gateway and in a few seconds it connects. Try explaining that to your mother. I finally gave in and rooted my NOOKcolor. It was sooooo easy. I simply followed the step-by-step instructions here. The biggest problem I had was that my first USB SD adapter didn't work. In addition to the basic rooting instructions, I also followed these to enable my Google Apps account. While this all worked fine, read through both of these posts a couple of times to see how they fit together. I installed ADW.Launcher. I had gotten a recommendation for LauncherPro but I discovered that on the Nook you have to really hack at changing the apps in the dock bar. I had one spontaneous reboot but it's been rock solid since then. The latest root process even enables the Android Market so you can download whatever apps you'd like. I have downloaded ADW.Launcher, Home Switcher, Dropbox, greader (Google Reader RSS), Titanium Backup, Klondike Solitaire, and Angry Birds. I used Home Switcher to make ADW.Launcher the default launcher. I changed the grid size on ADW.Launcher to 6 x 6. I'm not sure that's the "right" size but it's a good start. The root process installs SoftKeys which lets you bring up the equivalent of the normal 4 buttons on the bottom of an Android screen. To get youtube working, I had to use Titanium Backup and "wipe data" for youtube. Pretty nice Android tablet for $249. You get an "atta boy" if you know what DKIM stands for. 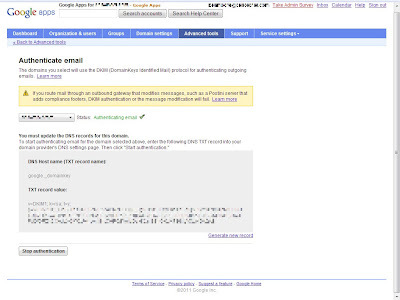 DKIM - DomainKeys Identified Mail. This is a technique for signing outgoing e-mail messages so sent mail is less likely to get caught up in recipients’ spam filters. Google has added this to all Google Apps users. 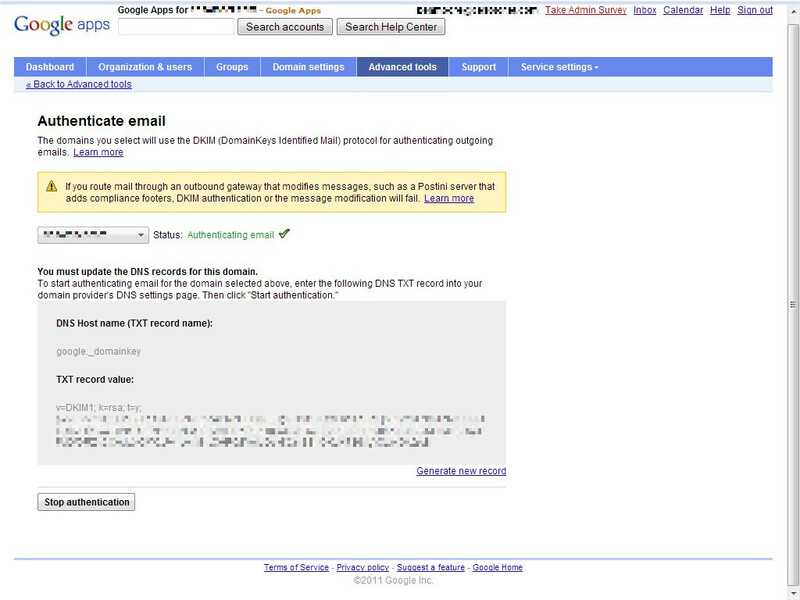 Administrators can enable DKIM signing in the “Advanced Tools” tab of their control panel. Once you get this text string, you have to go create a TXT record in your DNS. It took 20-30 minutes for the DNS updates to propagate. There's a nice tutorial here. Nice job Google! And the price is right: FREE. I didn't realize it had been so long since I looked at and shared my browser statistics. A recent exchange about file sharing tools got me looking at the distribution of operating systems visiting my web sites. 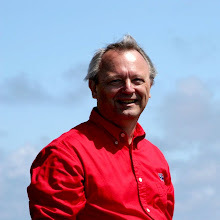 I specifically looked at www.desotonet.com and benmoore.blogspot.com DeSotoNet is more of a general purpose site and gets non-techie visitors. My blog gets the geeks (like you). The exchange that triggered this was with a Microsoft representive. His comment was "Yeah, XP is gone - wasn't happy about that, but it's so old and antiquated now." When I shared that with a manager at a Fortune 100 company his response was "And XP is not gone. Probably on >50% of the home and work machines that are active." Anyway here's what I found on operating system share on my web sites. I threw in browser share just for fun. I use 2 different statistics tools so some interpretation is necessary. XP is practically 50% of the Windows visitors. The Vista share surprised me. I'd guess that "Windows 2008" is Windows 7. I suspect that a large portion of the "Others" is some kind of Windows as well. Web crawlers would show up there also. Internet Explorer dominates. This isn't the techie crowd. My Windows 7 shows up as "Windows NT." None of the techies are running Vista! Thankfully IE 6 is pretty much gone.